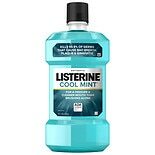 Shop Listerine Cool Mint Antiseptic Mouthwash For Bad Breath Mint (33.8 oz. )33.8 oz. $671$6 and 71 cents$0.20 / oz. 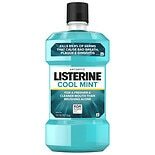 Shop Listerine Cool Mint Antiseptic Mouthwash For Bad Breath Cool Mint (50.7 oz. )50.7 oz.